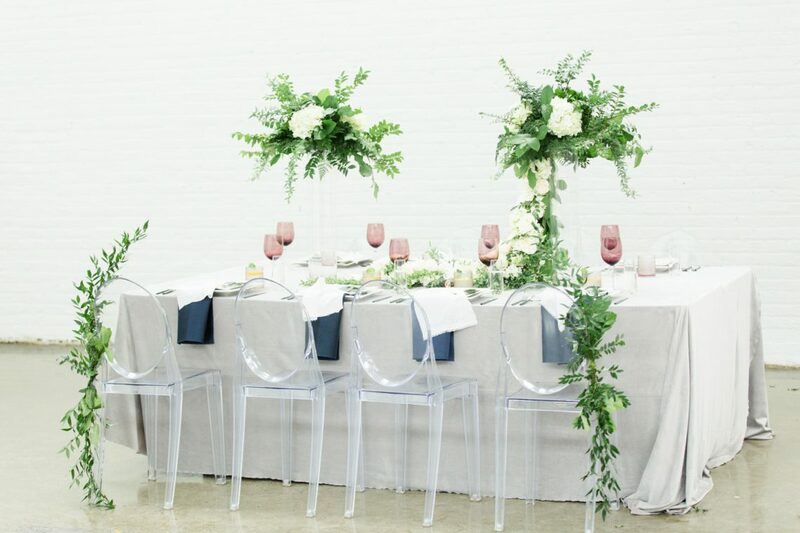 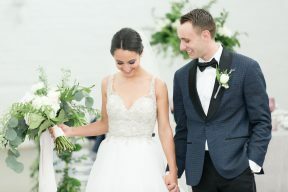 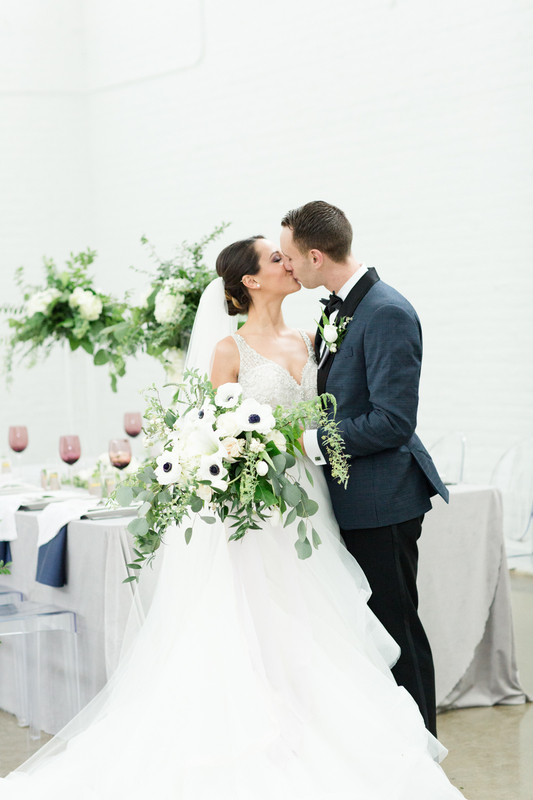 The Cannons Photography and Perfectly Planned by Val share this thoroughly modern wedding inspiration with chic muted colours, magnificent floral design including statement centrepieces and flourishes of greenery, and a key wedding trend we’re so in love with – velvet! 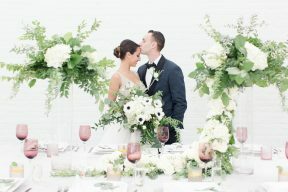 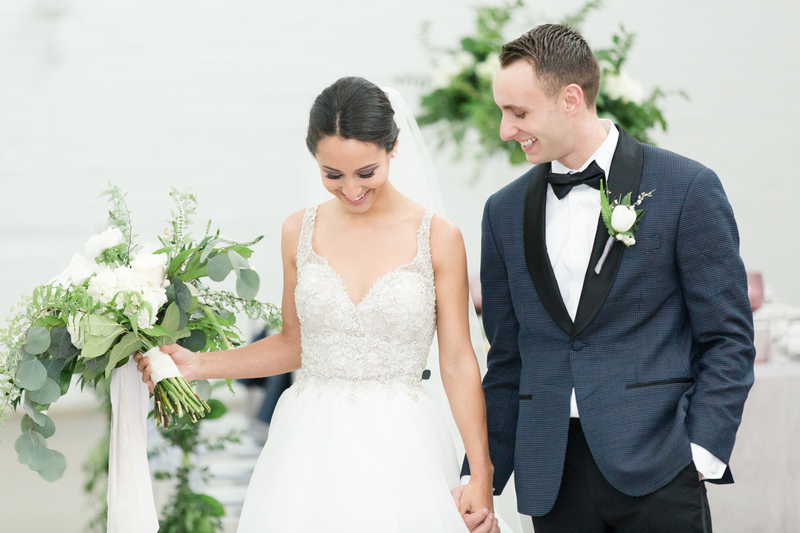 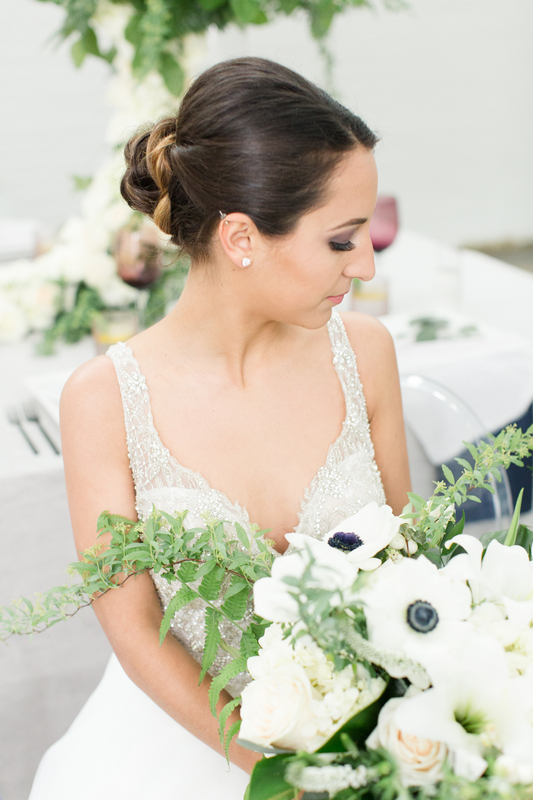 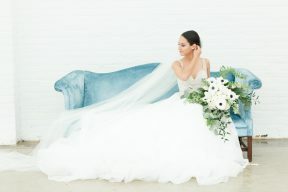 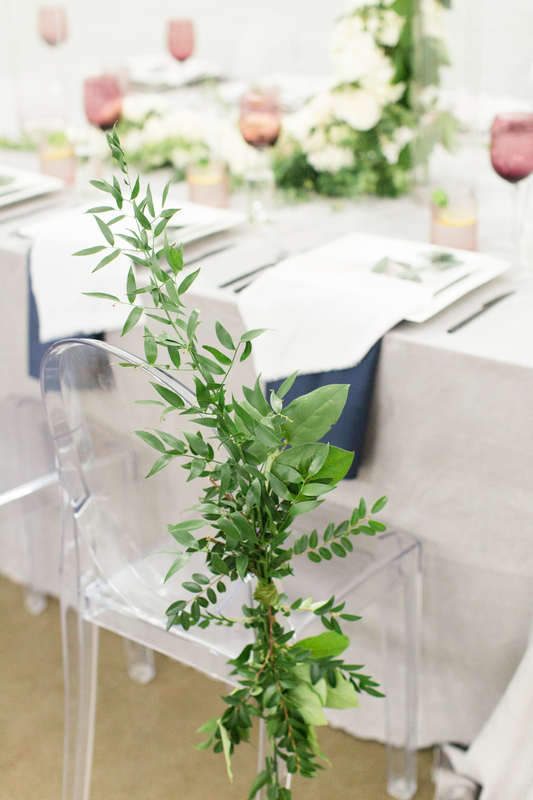 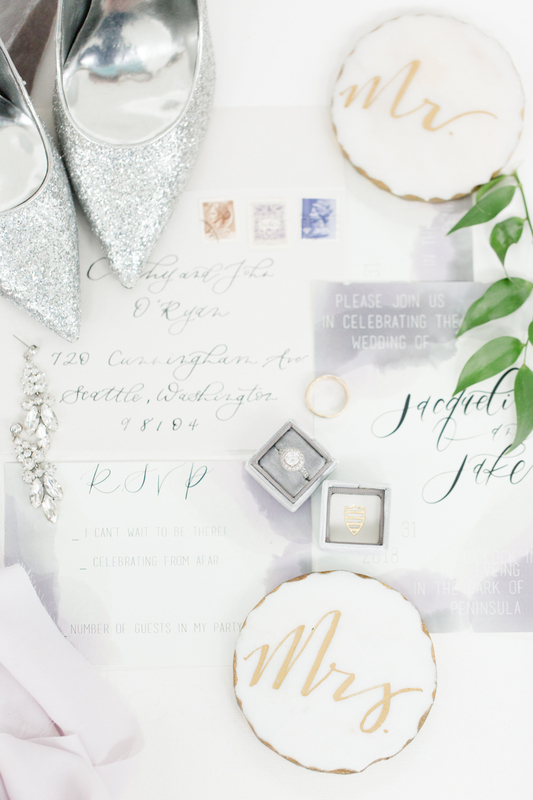 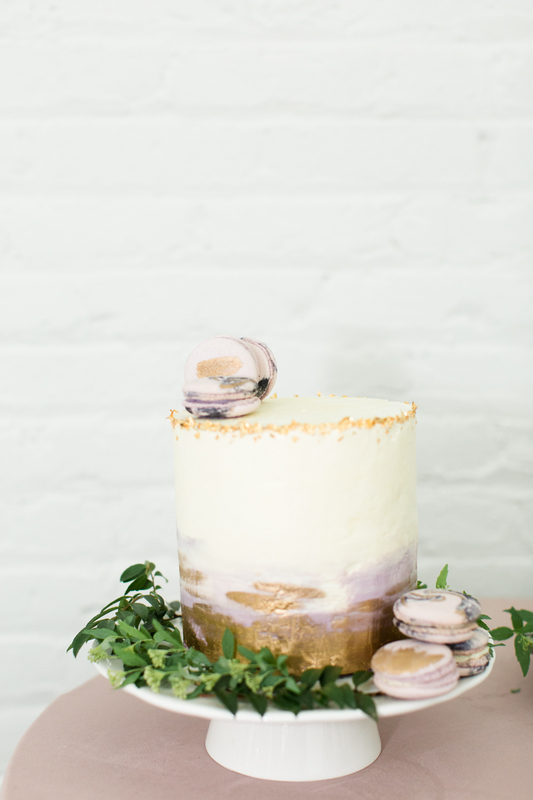 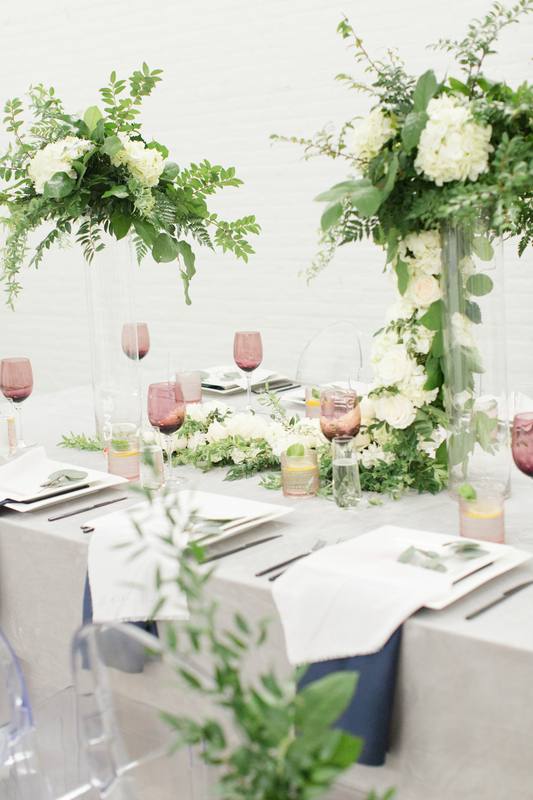 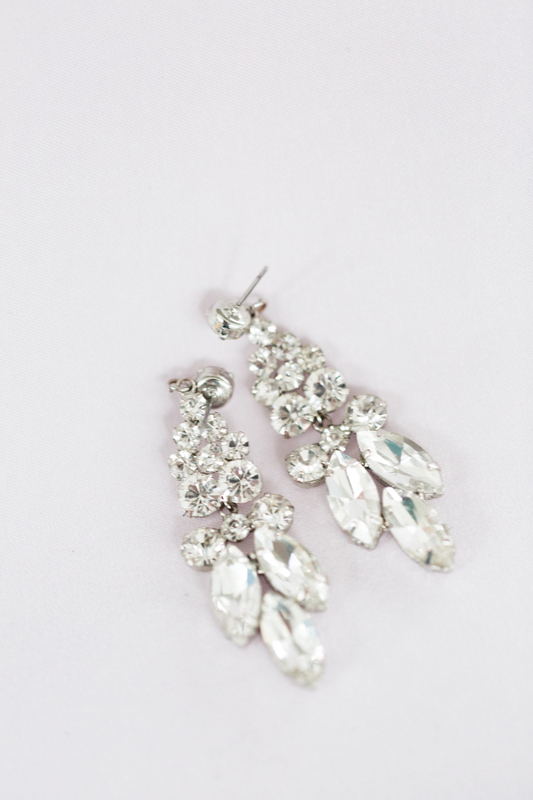 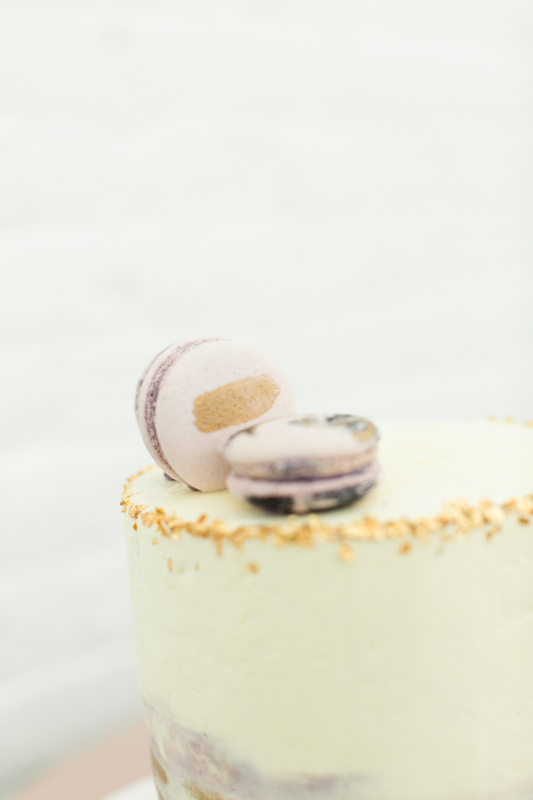 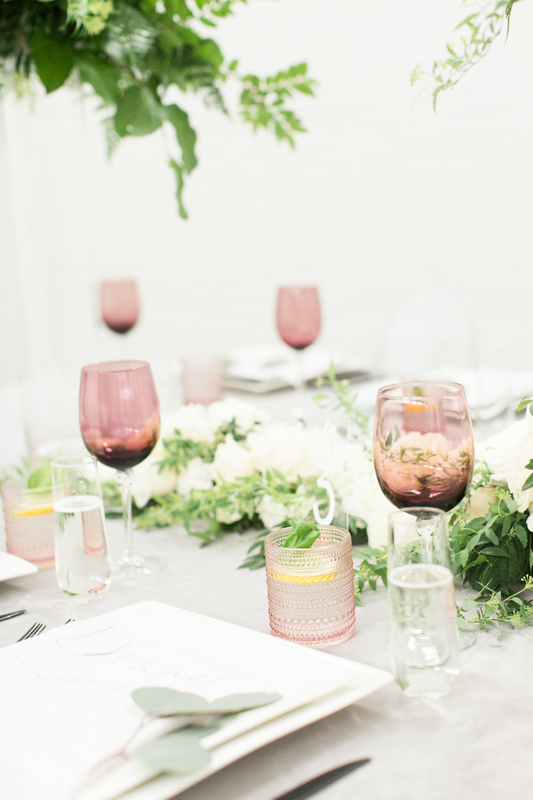 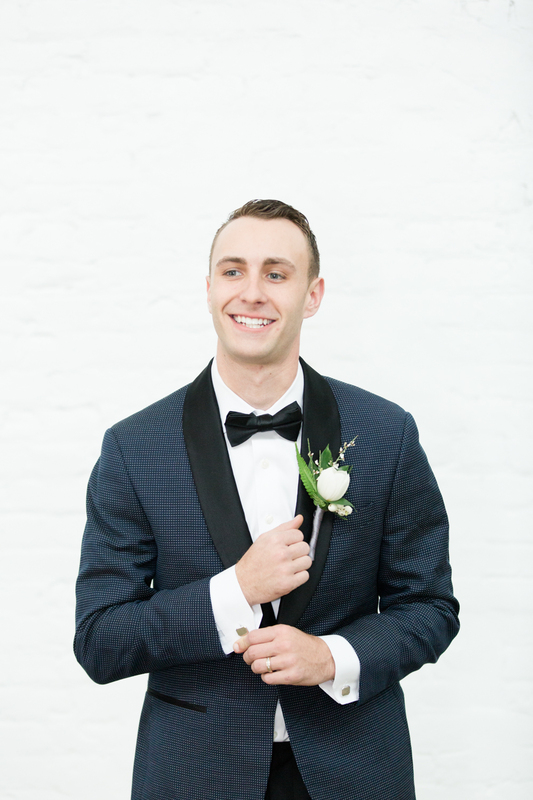 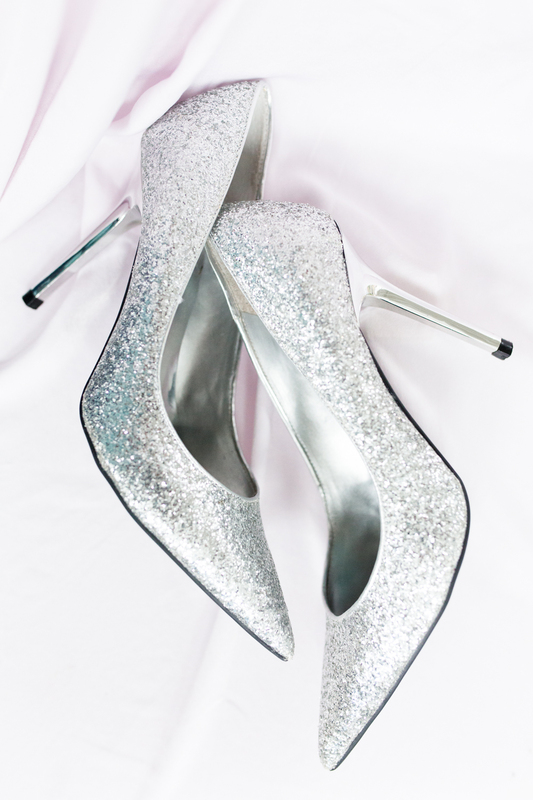 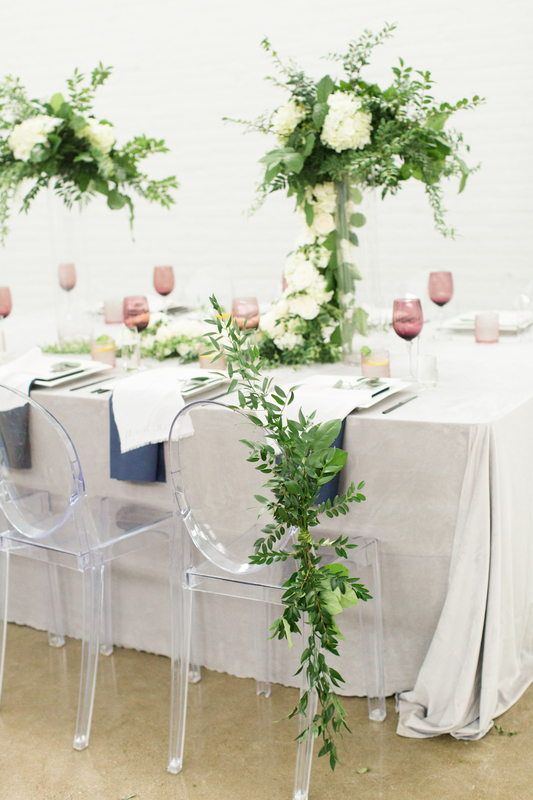 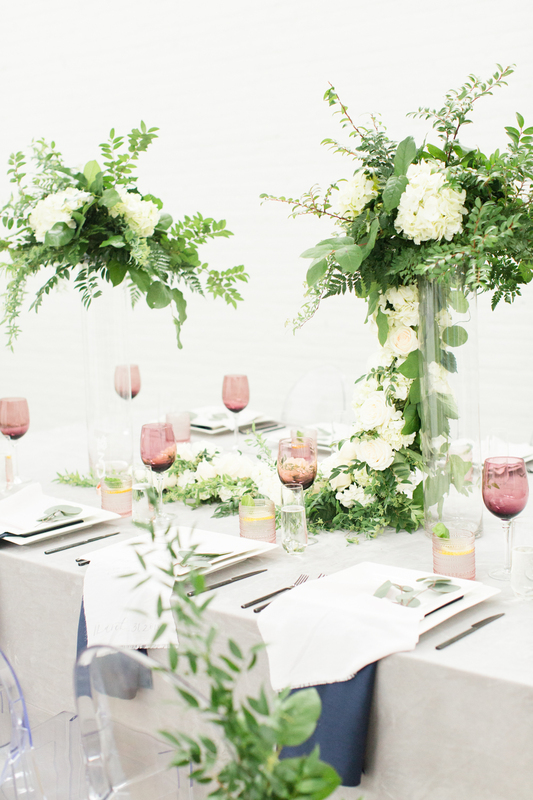 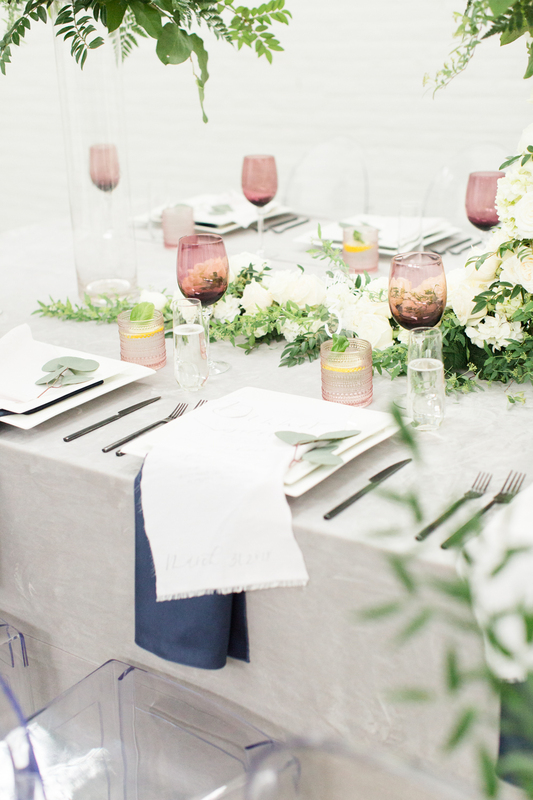 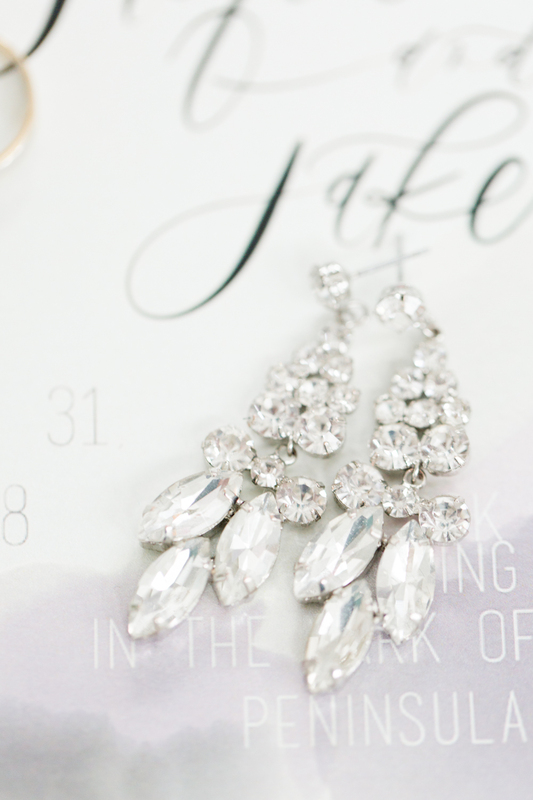 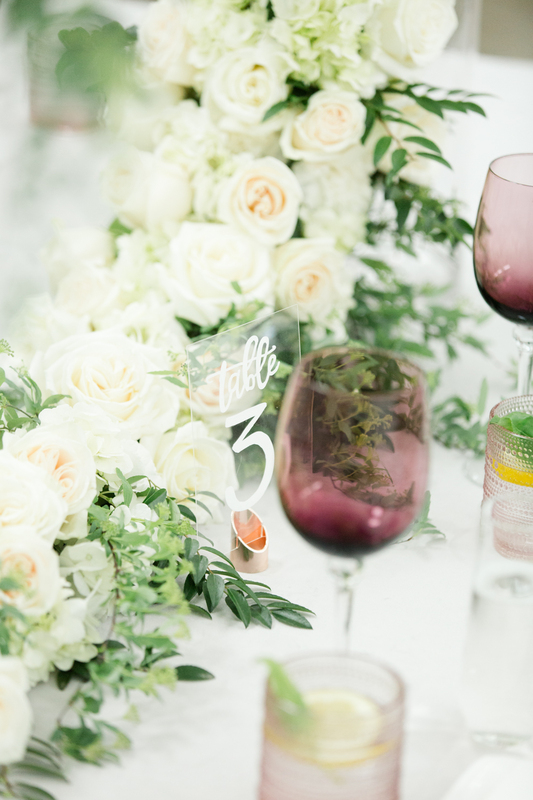 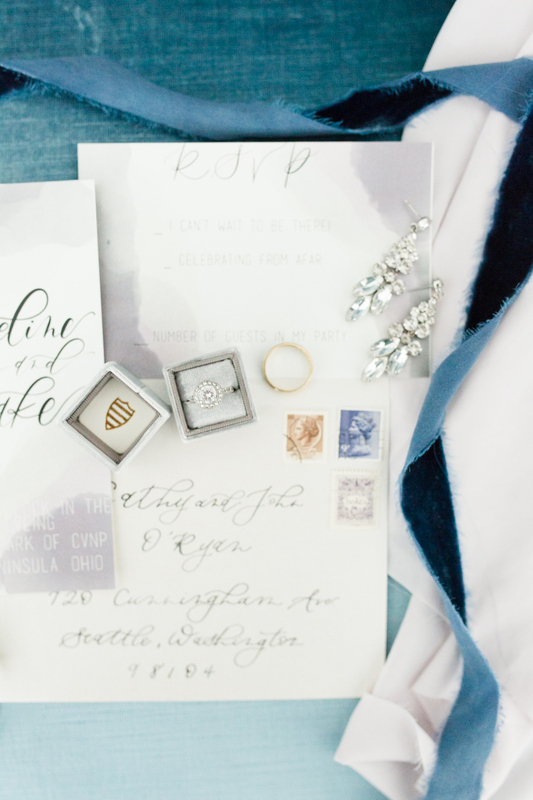 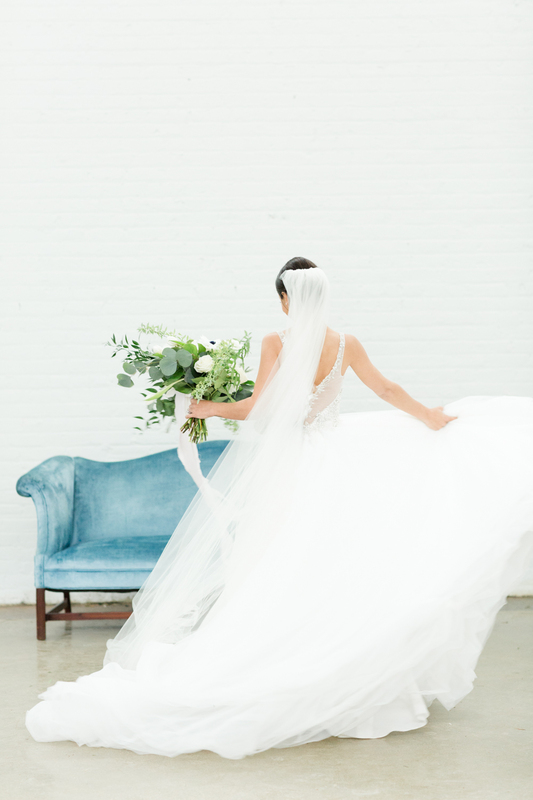 “Chic luxury and romantic perfectly describe the vision for this stunning styled shoot. 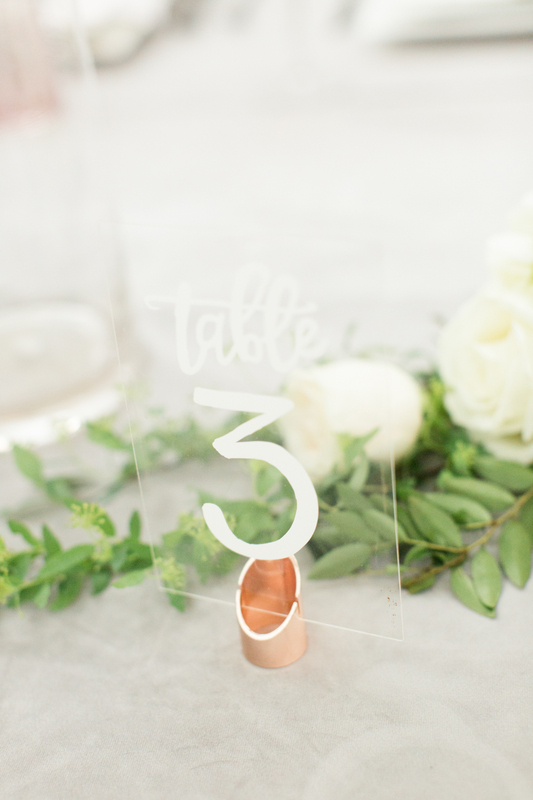 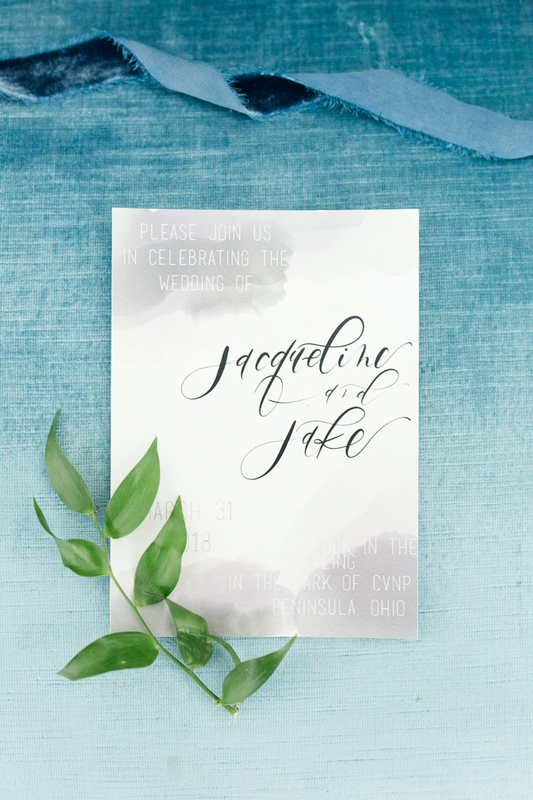 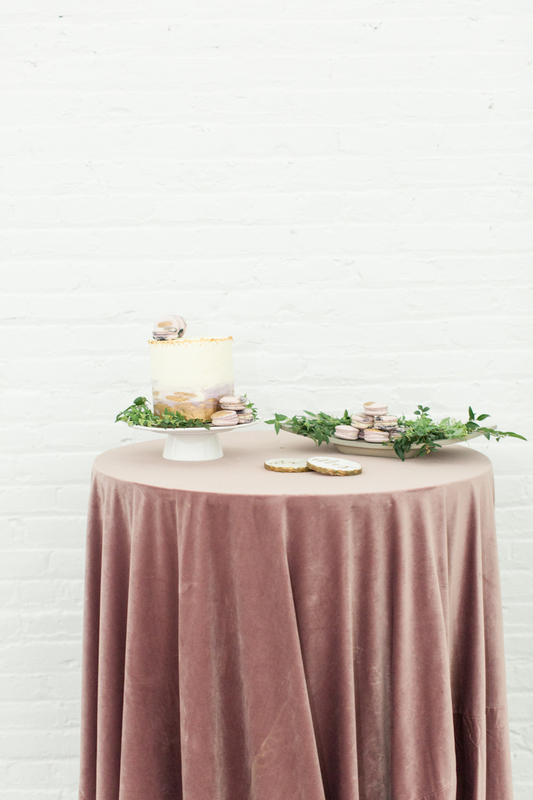 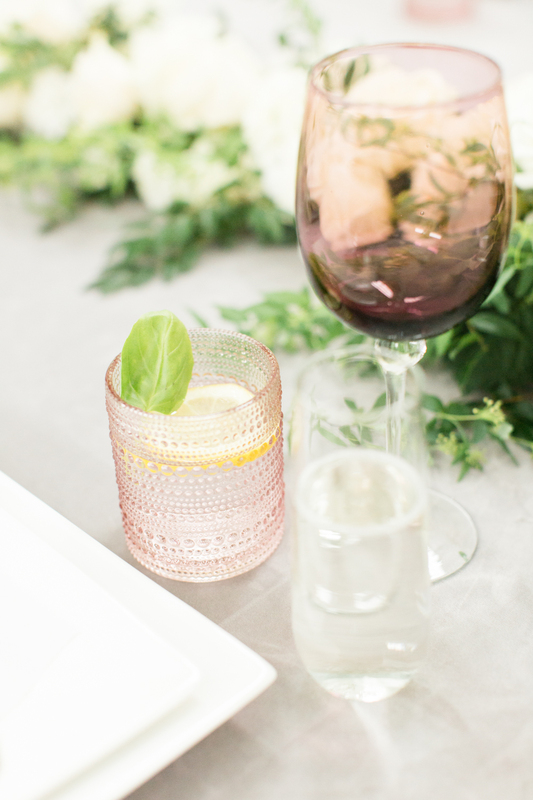 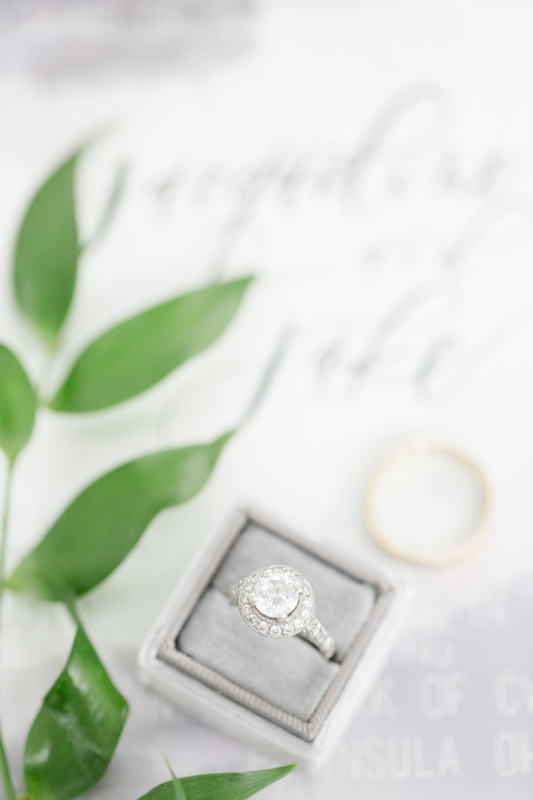 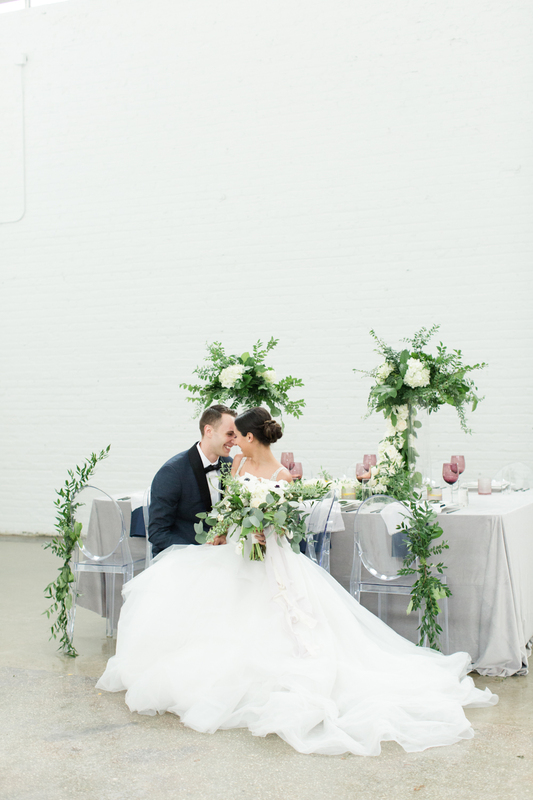 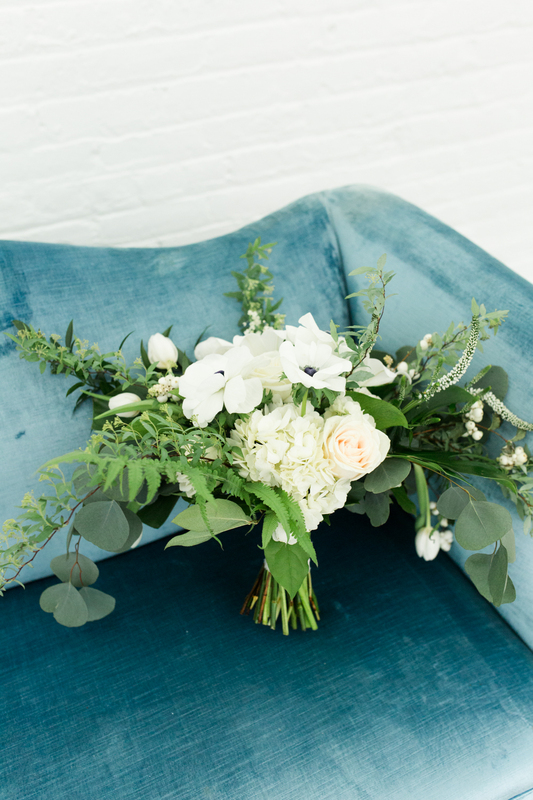 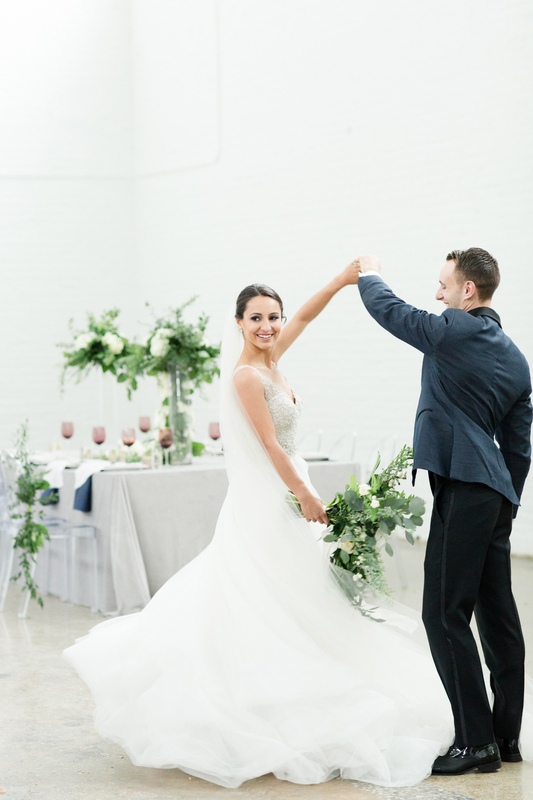 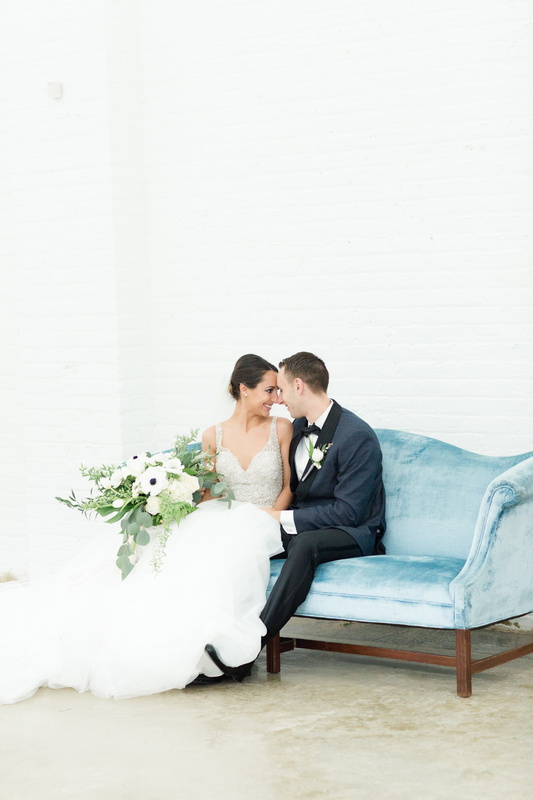 Photographed in Cleveland’s up and coming venue, The Madison the planner Val envisions a clean modern feel full of romantic glamour. 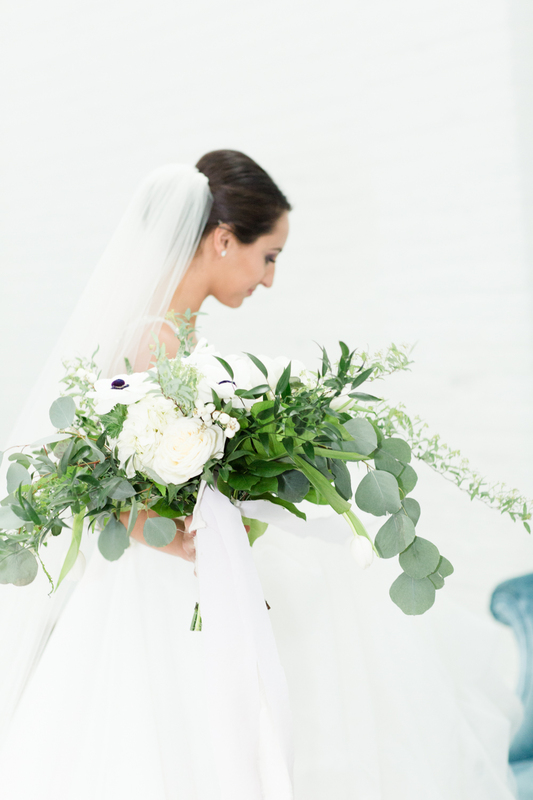 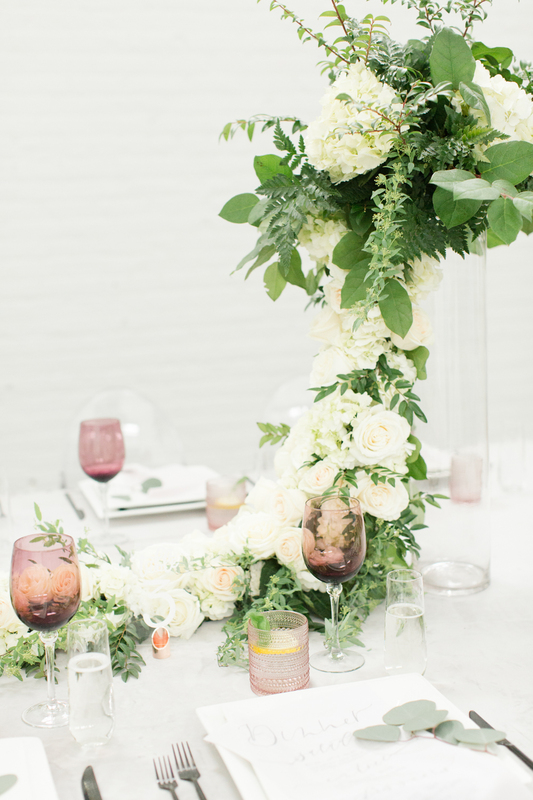 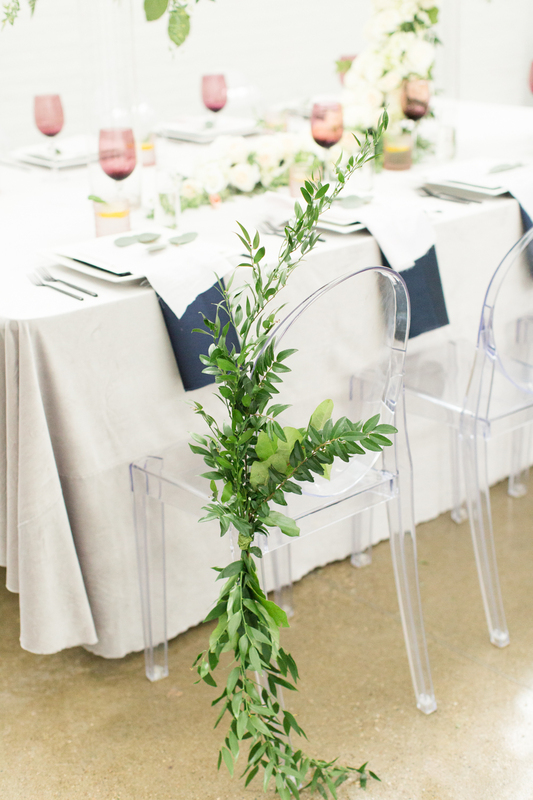 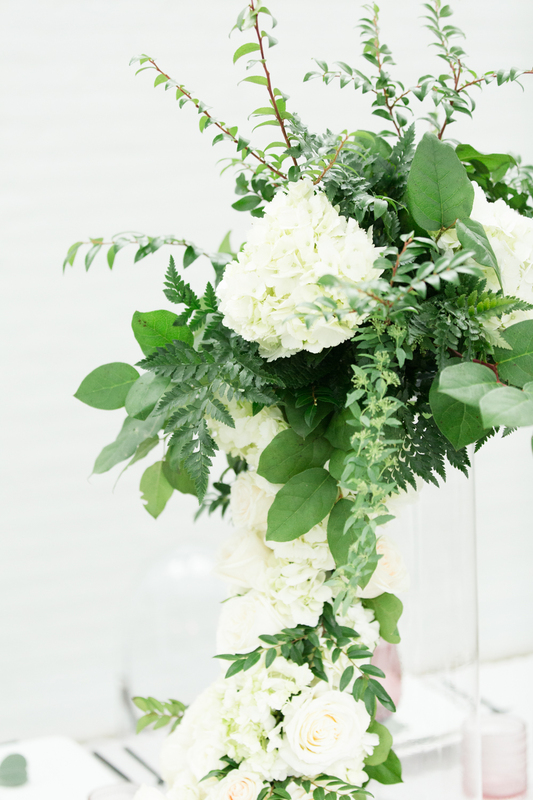 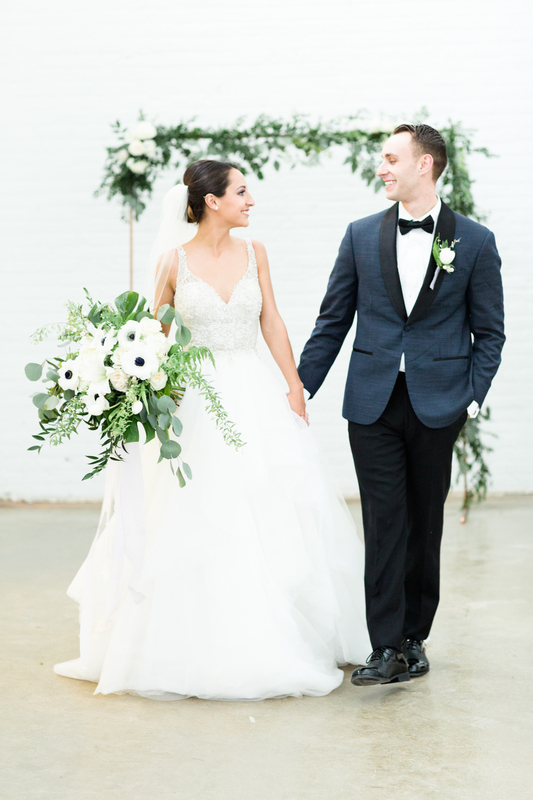 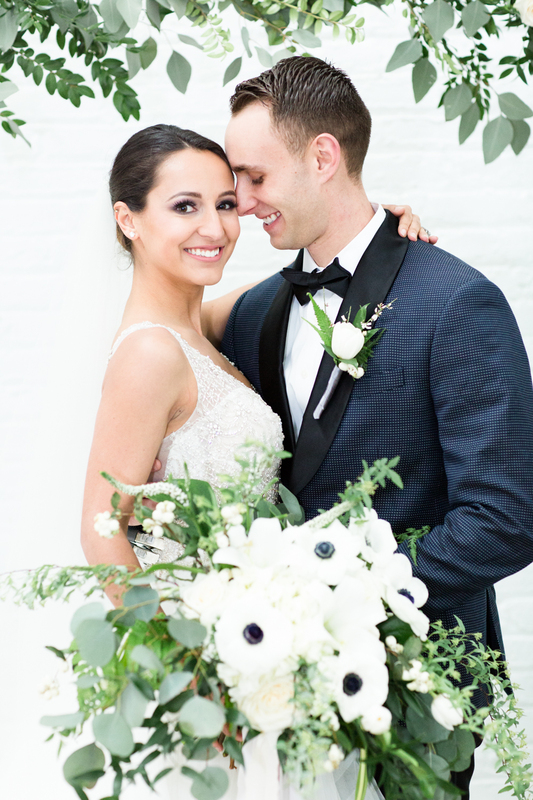 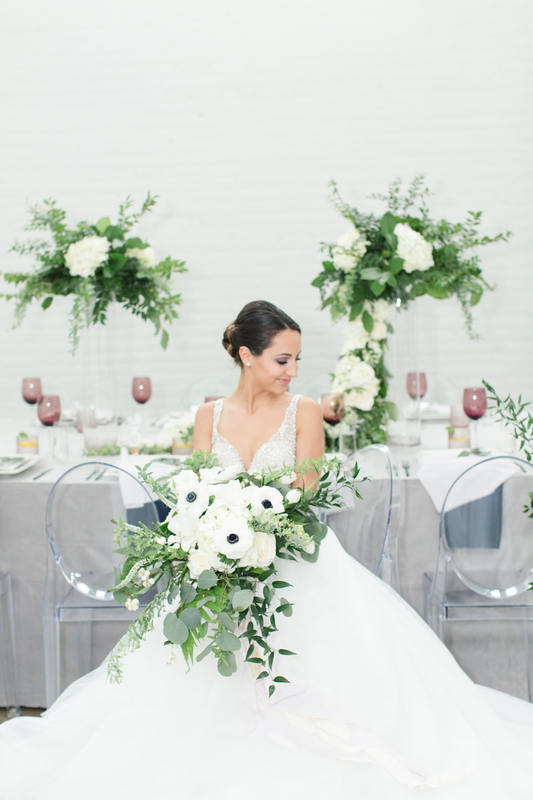 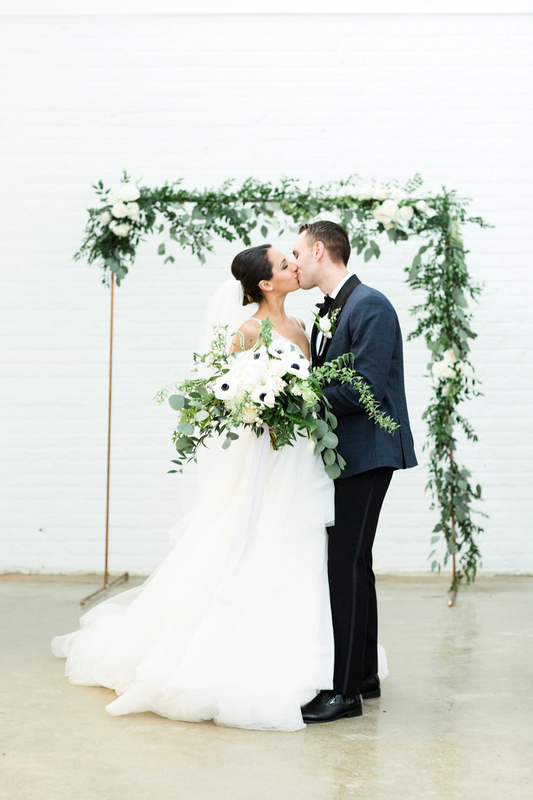 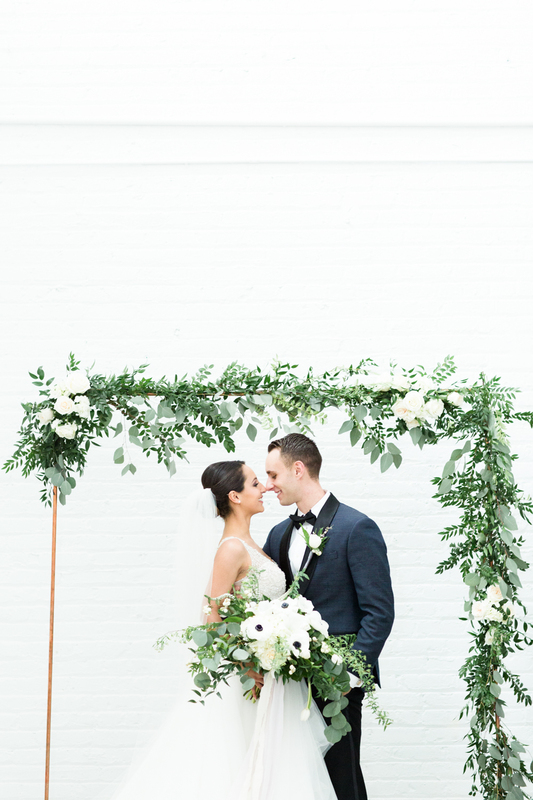 The bouquet was made up of neutral florals and tons of greenery! 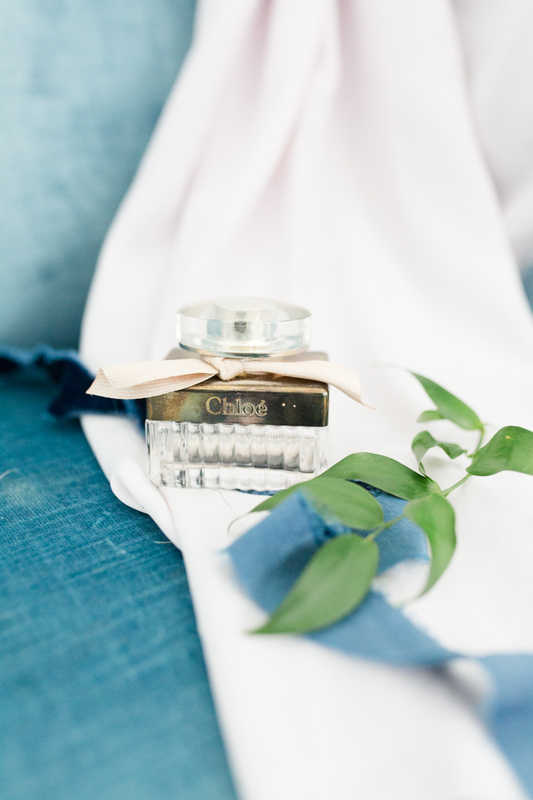 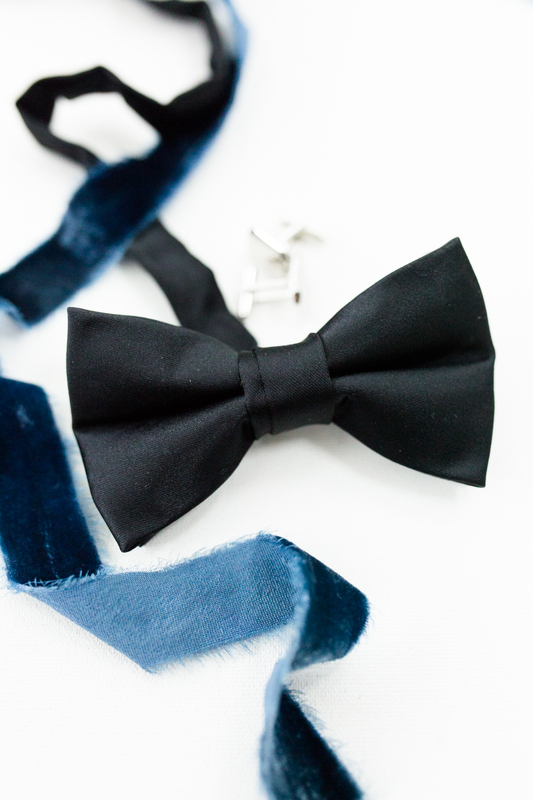 It had soft ribbon attached to create a romantic feel.